When fast food workers come clean, take heed. | That's Bad For You! When fast food workers come clean, take heed. I’ve worked fast food in my teenage years and I can’t say that I’ve seen anything too disgusting. Besides a few microwaved menu items and frozen foods that smell horrible while being speed baked in an oven, I don’t really have much to report. And yes, I’ve worked at the infamous McDonald’s before. 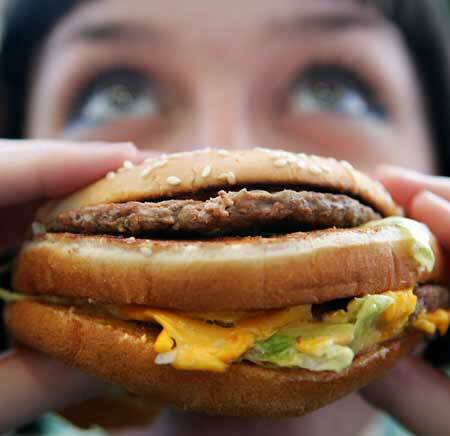 But let’s face it, fast food is…fast. That’s why we buy it. It’s convenient when we are busy and on the go. However, you need to be choosy when you are ordering from these places. Sometimes the workers in the kitchen have a better insight on menu items than we could ever imagine. I doubt these workers are blowing smoke come out and tell us what not to eat. Some of this is just nasty. I’d simply say it’s bad for you. This entry was posted in BAD, Nasty and tagged fast food by thatsbad4u. Bookmark the permalink.